KML to GeoJSON – Convert. Have you extracted and downloaded kml file from Google Earth or Google map and want to render it with libraries supporting Geojson file format? Are you tired of downloading the same data in different formats? We are going to use a simplest method that is Conversion Of GIS data from one data format to another online with IGIS Map Converter without installing any GIS Software. 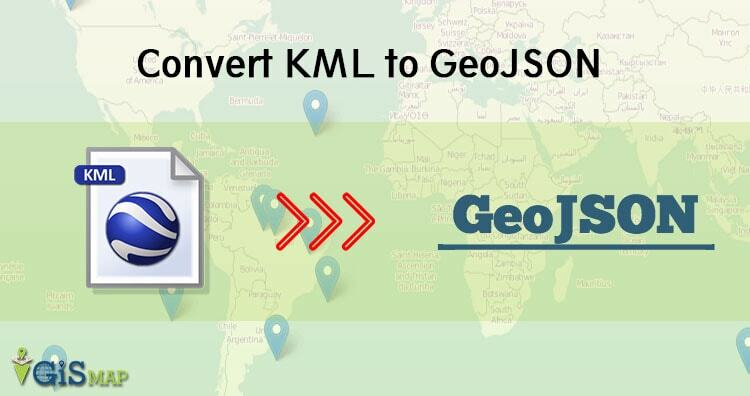 So here is an article on How to convert KML to GeoJSON format widely used in software like MongoDB, GeoServer, CartoWeb and FeatureServer. IGIS Map converter is an incredible tool for data file conversions. It will translate KML data which is widely used in software like Google Earth, Fusion Tables, Maps and GPS devices and convert them by one click to GeoJSON (JSON) format which is widely used in software like MongoDB, GeoServer, CartoWeb and FeatureServer. It Convert GIS / CAD files online without using complex and Enterprise Software like ArcGIS, QGIS, AutoCAD etc. IGIS Map converter is much easier to use then any other conversion software or tool. Along with conversion from KML to GeoJson, you can also check following conversions like KML to Shp, KML to KMZ, KMZ to KML, KML to DXF, KML to Topojson, KML to GML etc. After clicked on converter GIS Converter page will open, Now just drag or upload your KML file from your system or access the file from Google Drive or Dropbox. Once the file upload is completed, select the output file format we want to convert it into i.e. GeoJSON. 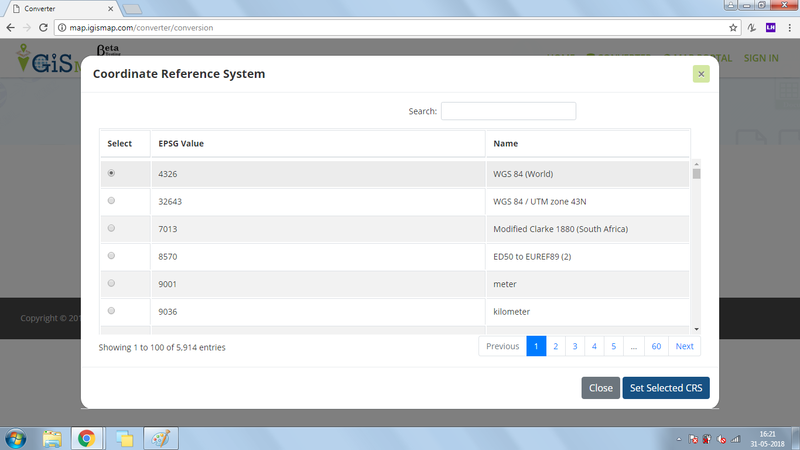 Now for setting up the conversion process we have to set the Coordinate Reference System accordingly. 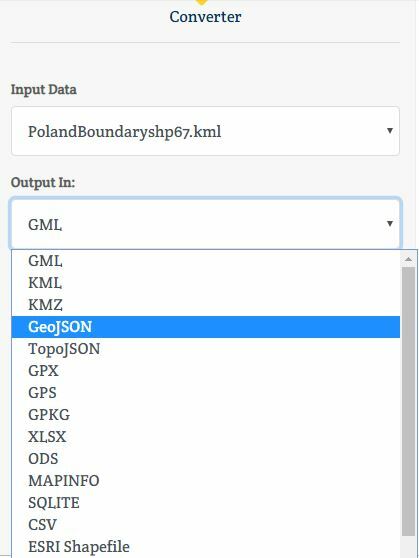 Now We have successfully converted KML to GeoJSON, IGIS map converter allows you to download or delete your new GeoJSON file format. Now GeoJSON file will publish on map to the content in the file or to check the conversion.